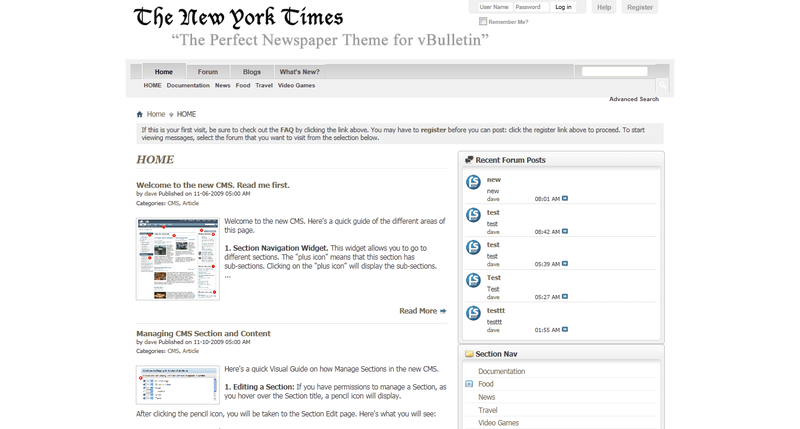 Looking to take your Newspaper site to the next level? 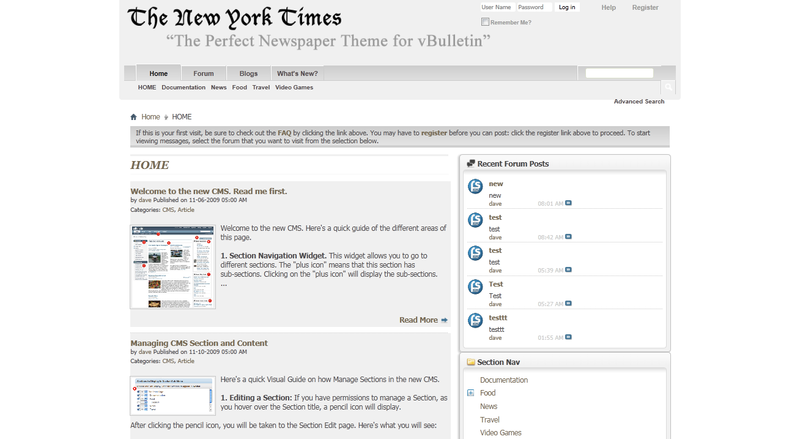 The New York Times Bundle Theme is probably the theme you’ve been looking for. It effortlessly takes distractions away and makes your articles and images the main focus of the website, the material that matters most. •Give your members something to choose from. Multi-Theme. •Tested on the latest version! •Completely, Forum-Skins.com designed background. You won’t find it elsewhere. •Facebook OpenGraph Compatibility: Let your users connect to your site & theme using FB integration and add Likes. 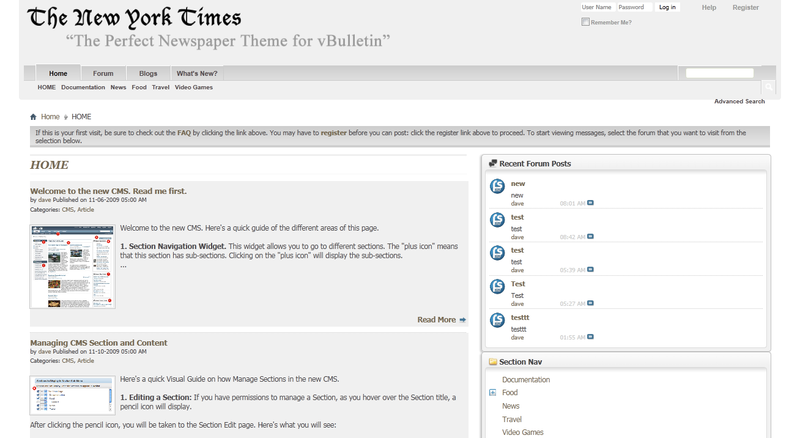 •Theme guaranteed to work for all of 4.X or your money back. 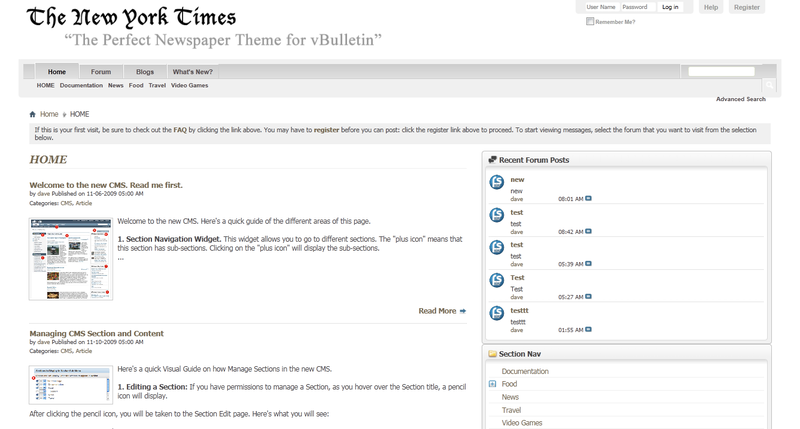 •Compatible with all vBulletin ad Formats.